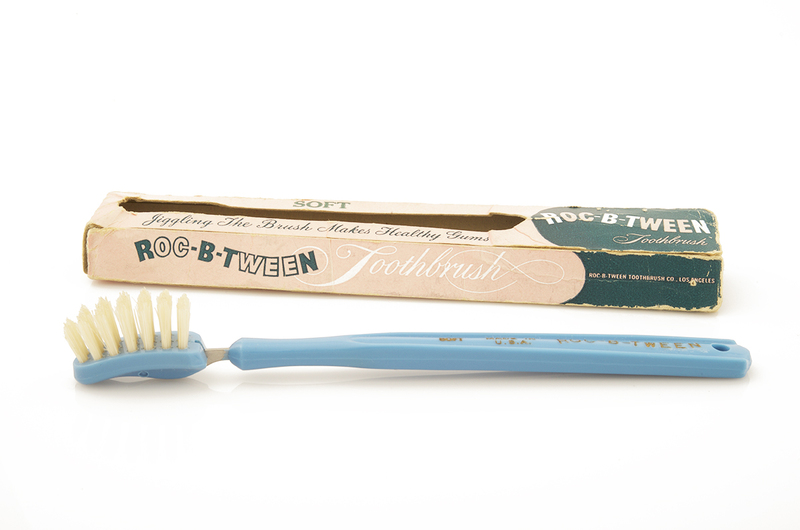 Mattick, BE 2010 A guide to bone toothbrushes of the 19th and early 20th centuries. Bloomington, IN: Xlibris Corp; McMath, JF Dental Instrument. 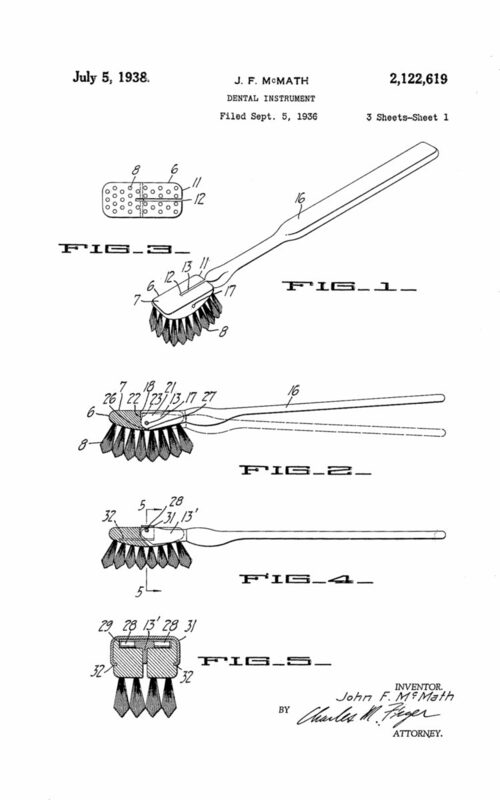 Patent 2122619. 5 July 1938. Print. 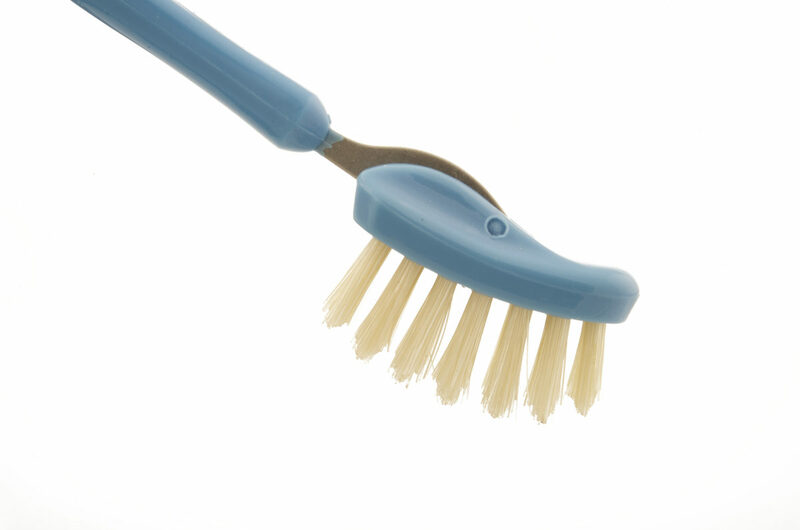 This Roc-B-Tween brush (A343.2) has a natural bristle head and a blue plastic handle. 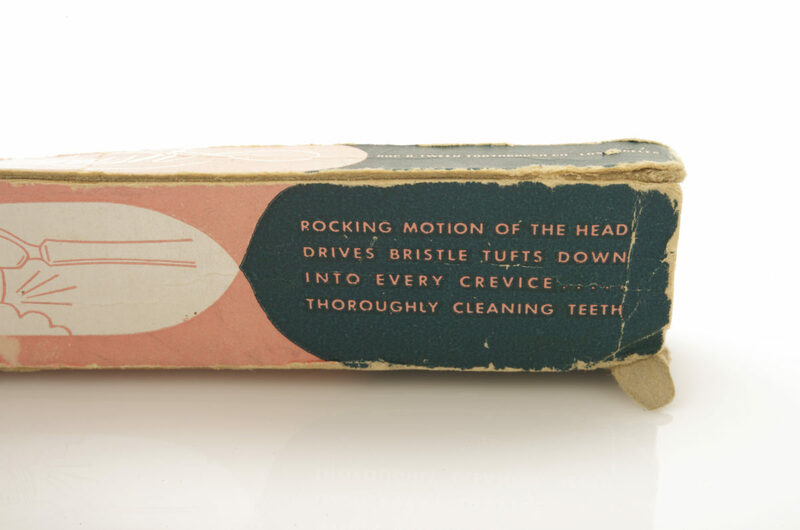 Marketing copy on the box proclaims thorough cleaning of every crevice. Patent granted in 1938 to J.F. McMath of Oakland.